It's been a while since I've posted to our blog - our practice has been keeping me very busy! The long Independence Day holiday offers a little more time to do something that is therapeutic and a labor of love for me - baking! Yes, I know that the last thing I should be doing is heating up the kitchen in July! I should be posting something about Forth of July parades or ice cream or teeth, however, when the mood to bake strikes you just need to go with it! Bake From Scratch magazine features the recipe for the above essential Milk Bread (cooling in our sunroom) in their July/August issue (Sorry! The magazine does not feature the recipe on their website - but if you love to bake I recommend that you run out to a Whole Foods store and grab an issue or subscribe online www.bakefromscratch.com/), If you're really, really desperate contact me directly and I will see if I can share! The origin of this fluffy sweet loaf bread hails from the dairy region of Hokkaido, Japan. It's unique because milk and flour are heated on the stove and stirred into a creamy paste. This roux helps lock in moisture without making the bread heavy and it helps extend the bread's shelf life for up to four days - not that it will last that long! I just shared some with our neighbors and Greg and I tasted it and we enthusiastically approve of the recipe and method. A myriad of reports have come out recently that tell us something we all probably know: we live in unprecedented times of division; politically, ideologically, philosophically, etc. As a member of the city council in Bayport I’m even starting to see the erosion of common courtesy and decorum between residents with each other and with city staff. It seems as if we’re starting to lose sight of the humanity behind our differences of opinion. While all of these sources of information can have value, they survive and thrive on a hidden agenda. Many sources of “news” purport to supply information and knowledge, but what they’re really providing is conflict. Watch any cable news segment where guests with differing viewpoints attempt to shout over each other and this becomes readily apparent. 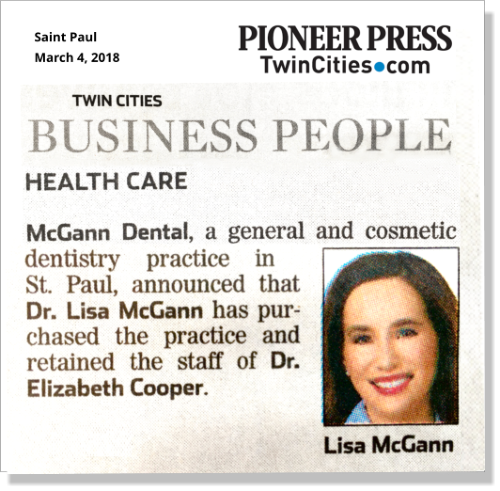 Patrick McGann is a dentist in Lake Elmo and a member of the Bayport city council.